The Liberty has introduced the UK’s first disability friendly ‘Calm Lane’ to encourage all shoppers to enjoy a relaxing shopping experience during the Christmas period. 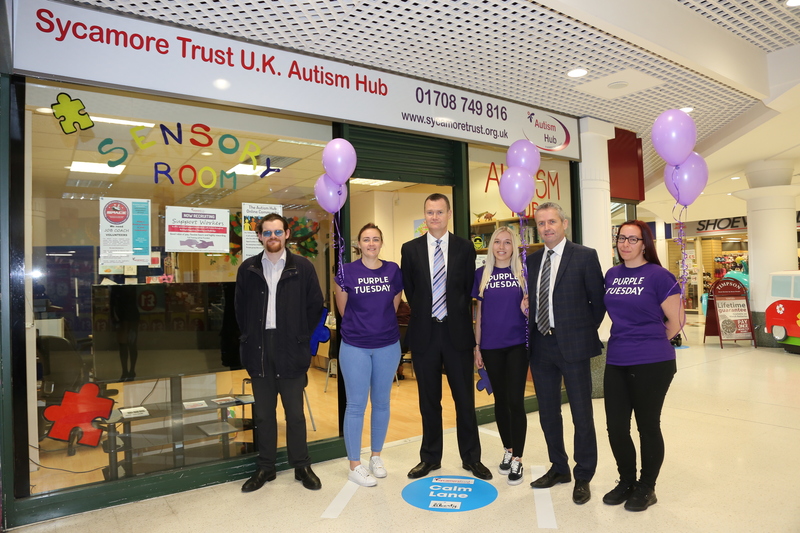 The Liberty is that is the only centre in Romford to be found all on one level, has installed a 260-metre path that runs from the high street entrance of the centre to Laurie Walk before reaching the Autism Hub at the Sycamore Trust. This lane will help shoppers as well as people with disabilities and impairments enjoy a more stress-free shopping experience. The pathway that incorporates calming blue colours was installed on Tuesday 13th November, which marks the first ever ‘Purple Tuesday’ which is the UK’s accessible shopping day. The new government backed campaign launched this month to encourage retailers to make their shopping experience more inclusive for customers with disabilities. The Calm Lane also promotes and ends at the Sycamore Trust, a charity that supports parents, carers and individuals affected by Autistic Spectrum Disorders and learning difficulties. Centre Manager, Jonathan Poole said: “It is great to be able to welcome our ‘Calm Lane’ to the centre. Steve Dixon from Sycamore Trust added: “The Calm Lane is a great incentive to help people feel more relaxed during the busy Christmas period. “1 person in 100 is now said to be on the autistic spectrum and although Autism is a hidden disability, busy and stressful environments can be a real challenge for people with the disability.